We’re fortunate at Reward Gateway to have been inspired and led by some incredible thinkers in employee engagement, company culture, and leadership. Our new series, “Lighting the Spark,” features one of these amazing thinkers every month. This month, we chat about Simon Sinek. In life, there are some people who make things easy for you, some people who make things complicated, and some, well, just make everything make sense. And for me, Simon Sinek is someone who does exactly that. When he speaks I listen and I think, “wow, why did I not think of that”. It’s annoying but it’s absolutely fascinating, and I always learn something each time I see, read or listen to his point of view. And for HR people, simplicity is music to their ears – to me anyway! The beauty in what Simon discusses and talks about is in his simplicity. He does not complicate with fluff, with noise, or excessive words, process, or ideas! His views are sushi knife sharp, as clean as a polished mirror, and, most importantly, as simple, logical and precise as you would expect to see from a surgeon. Why is Simon so good? 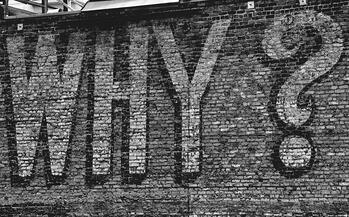 Let us look at his theory, “start with why”. 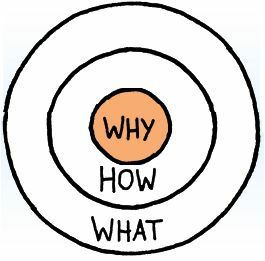 Start with why is a brilliant concept, one that we use often as we’re developing benefits programmes, changing up our induction or putting together job advertisements. It really can be applied to mostly anything. Simon challenges us to think of Why as the purpose of what you are doing. Be that buying a product or doing a task. What are you doing it for or why are you buying it? It’s not a long list of features or benefits, for a product, it is the purpose of your purchase, the reason you buy, it’s solving of the question that maybe you didn’t even know you wanted answered. So wait … what does this have to do with HR professionals? Sinek has a thing about job descriptions and, you know what, he’s right. 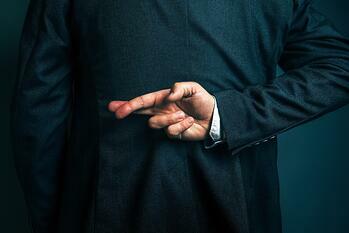 They’re long, boring and quite often don’t tell the truth. But, Simon says when they do then they really do help you achieve great things. He uses the example of the job advert placed by Ernest Shackleton for his South Pole adventure, where he did a rare thing and told the unblemished truth about what it would be like to join the team. This is said to have saved lives and made their overall adventure a successful one, even though they did not achieve their overall aim. "Men wanted for hazardous journey, small wages, bitter cold, long months of complete darkness, constant danger, safe return doubtful. Honour and recognition in case of success. So why was this valuable? Firstly, the expedition did not go according to plan and they were stranded for 22 months before being rescued. Despite this, they lost no member of the crew – why was this? Sinek says, and I agree, that everyone was aligned to the why, the how and the what for the job and the journey. They were aligned to the task, knew the risks and were operating as one – importantly they all applied to the same advert. This created an atmosphere that enabled the successful return of all of the crew. They were all self-selecting survivors and knew the purpose of the mission. By making this small adjustment in how you present information to your employees (prospective or current), you will start to have more honest conversations and create better expectations of what your employees need to do. The result of doing this, as shown by Shackleton, will be a more cohesive and joined up team, more aligned working and everyone knowing why they are doing something much more clearly. Just remember, start with why?